A jarring story is playing out in public health. Momentum is growing to tax sugary drinks and junk foods all over the world. From a perch of privilege it sounds good. If you tax these bad foods and drinks enough, people will stop buying them. Even better, modeling exercises tell advocates that the benefits will accrue to folks in the lowest tiers of social and economic status. But several years into this experiment, those predictions have yet to come true. The New York Times offers a detailed snapshot of what’s happening in the small and poor town of San Cristóbal. Drinking water is scarce. Many families must buy it from tanker trucks. And in fact, Coca-Cola can be easier to get and not much more expensive. So people drink a lot of it – on average more than two liters daily. The Times describes a reverence for this drink that finds its way into churches. Along with that reverence, the report describes a soaring prevalence of diabetes in the region, with mortality from the disease climbing by 30% between 2013 and 2016. The Times makes no mention of the tax on sugary beverages mandated in 2013. Perhaps it’s too soon to see any effect on obesity rates. But reports are all over the place on what’s happening to soda consumption. Studies by advocates for the taxes showed a 6% decline in the first year and 10% drop in the second year. Business reports from Mexico paint a different picture. Two years after the tax took effect, the Wall Street Journal reported that soda sales are rising there. With such a strong attachment to sugary sodas, it might be that consumers are adjusting to the tax in other ways. Cutting back on other purchases. For another bracing report, consider a new study in PLOS Medicine. Ryota Nakamura and colleagues found that a steep tax on SSBs in Chile led to a drop in SSB consumption in its first year. But the surprise here is that the benefit (less sugar consumption) went to households with the highest incomes. They cut their consumption by 31%. In stark contrast, for low income households, no significant drop came after the tax went into effect. Similarly, a fierce debate about the impact of soda taxes on low income neighborhoods is ongoing in Philadelphia. Small businesses – with backing from the beverage industry – claim that those taxes are hurting neighborhood groceries and causing job losses. Public health officials point to wage data showing job growth for the area overall. But small businesses say those data hide the squeeze they’re feeling in city neighborhoods. Though Pennsylvania’s Supreme Court yesterday upheld the tax, the political fight goes on. Amidst all this squabbling, the prevalence of obesity continues to grow. What’s more, type 2 diabetes is growing in parallel. None of these tax experiments are changing the trends yet. Maybe it’s too early. But then again, maybe it’s a mistake to think that economic pressure is the best way change the dynamics of this pandemic. Obesity and diabetes already hit people at the low end of the social and economic order especially hard. 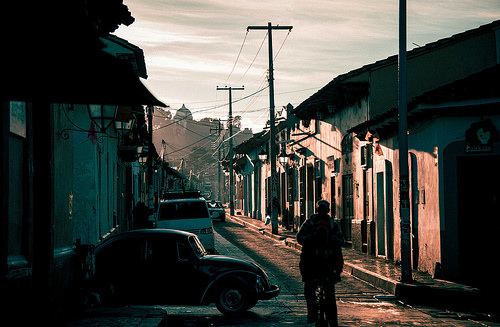 Perhaps taxation seems like a better solution from a perch of privilege than it does in San Cristóbal de las Casas. We need strategies for overcoming obesity that actually work. To find them will require a deeper understanding of the problem and more objectivity about potential solutions. Trial and error is not enough. Especially if we’re not objective about the errors. Click here for the story on San Cristóbal and here for the study of tax effects in Chile. Thank you, Ted–a helpful snapshot of the state of play. Or shall I say the state of STAX? As an example of the level of “non-debate” occuring around the opportunity to use the relative risks across nicotine products as the basis for tax policy, see this paper in Tobacco Control and two responses in the journals Rapid Response section (their only sanctioned forum for post-publication discussion). And see how the authors of the original paper have not even replied. “The reason that we did not report [?] to this comment when it was originally posted on the Tobacco Control rapid response section was that it is off the subject of the paper, which was to estimate the price elasticities of non-cigarette tobacco products, not a discussion of the pros and cons of the differential tax policies being encouraged by the tobacco companies and people who think that these non-cigarette products have a role in tobacco harm reduction. A powerfully provocative analogy–but advancing the pursuit of reducing preventable premature suffering and death?